This thread serves as a discussion point for using a gamepad with RaiderZ. Where RaiderZ does not natively support gamepads, we must use external button mapping programs for this task. The hope is that other users will contribute their own layouts for both Xpadder and other programs such as Pinnacle or Joy2Key to provide players with a wide array of controller alternatives. This first post will serve as a quick-link archive to each layout. 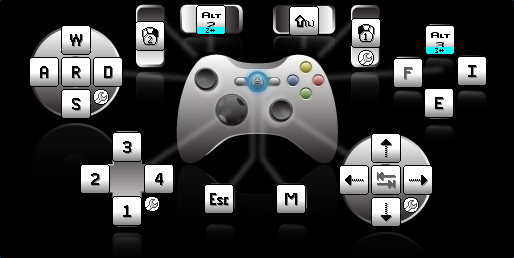 This is my personal Xpadder setup, details as follows. This setup requires some changes to hotkeys, but in my opinion, it makes playing this game with a controller as smooth as if it was a console game. with that configuration I can only use the 4 first skill slot or I’m using it wrong?